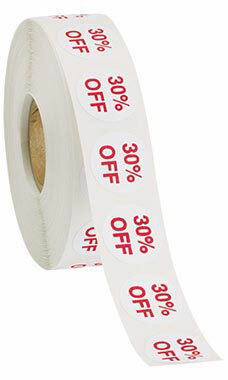 30% Off Self-Adhesive Labels are great for pricing merchandise for sale promotions. Each label features a smooth 3/4" diameter white matte finish with 50% OFF in red print. Labels are sold on a roll of 1,000.